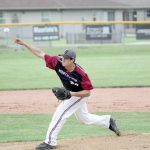 Monday, May 30, 2016 11:00 AM Owen Valley-Sectional Championship AWAY 0 Northview High School HOME 2 Game Recap Knights Win the Sectional Championship behind a shutout effort by Braydon Tucker, great defense, and two hits and two RBIs from Nate Thomas. Multiple Teams · May 27 Knights Win!! Friday, May 6, 2016 5:30 PM Northview High School AWAY 5 Edgewood High School HOME 10 Game Recap Knights lost 10-5 @ Edgewood Dalton Shaw had a homerun in the loss.